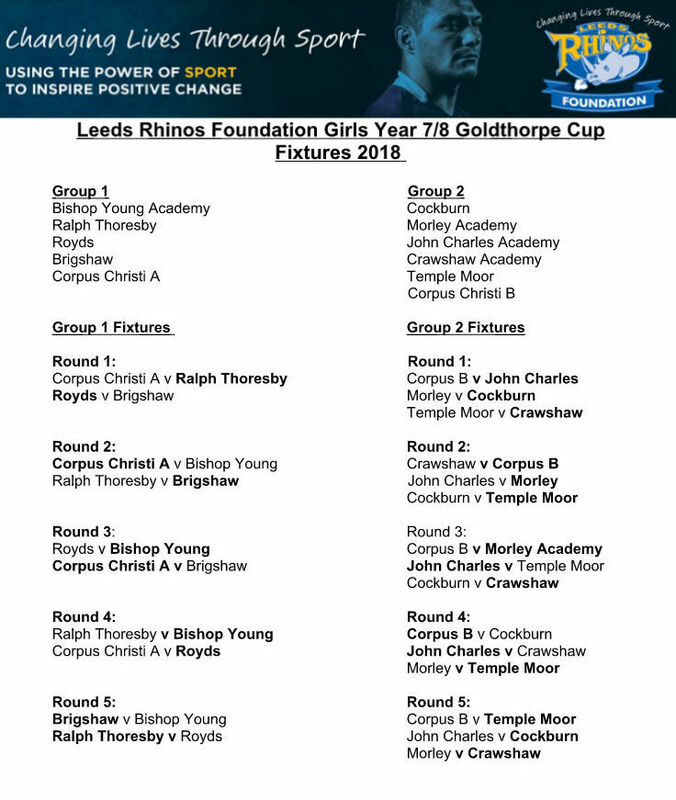 The inaugural girls Goldthorpe Cup final took place at the Arthur Miller Stadium, home of Stanningley RFLC, on Wednesday July 18th with a 4pm kick off. A dominant first half performance saw Corpus Christi take a healthy lead into the half time break. 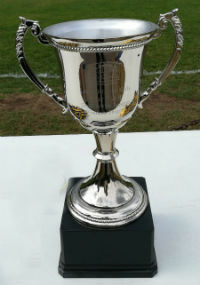 Temple Moor played much better in the second period but strong defence prevented them from mounting a serious comeback. Both team demonstrated good skills and commitment. After the game the vice captain of the Leeds Rhinos Women's team Danika Priim presented the medals and Albert Goldthorpe's great grandson Stephen McGrail presented the new trophy.